what a car! I can't believe the yanks are making cars like this. So the SS 1LE does Laguna Seca in about the same time as a BMW GTS, and I presume the Standard SS does the same time as a standard M4... However the GTS package costs around $65000, while the 1LE package costs $4500? The 1LE is a Performance Package offered on both SS and RS models of the Camaro, There like the T/A version of the GTS, It costs $4,500 on both, It adds, A new 3 piece satin spoiler, New satin front splitter and rear diffuser, New lighter rims, A lighter satin black bonnet, New FE4 suspension tuning, Altered Recaro seats with different bolsters, Performance data recording, Segment Exclusive LSD, 285x305 GoodYear Eagle F1 SuperCar bespoke tyres, Magnetic ride, New bigger six piston 2 piece monobloc Brembos that are lighter then the normal SS brakes, Track cooling package, With engine oil, Differential and transmission coolers, A suede steering wheel with shorter throw shifter and different shorter gearing, high flow upper and lower grille, Dual mode exhaust system that sounds slightly different, Improved fuel system for higher load cornering, Although theres more on the V8 then the V6, And there more aggressive. So everything that makes the car more enjoyable and handle better, The last one was already one of the best handling cars you could get, So this one says volume, And its around 6s faster round VIR then a normal SS. 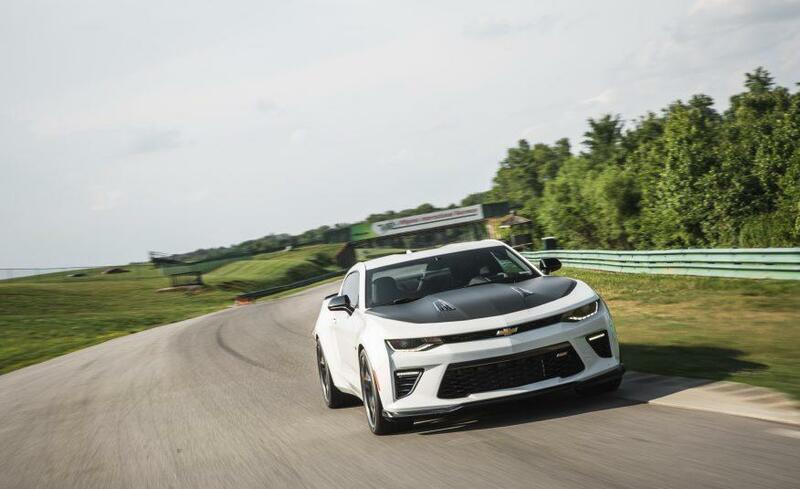 Its not the track version, Its just the better handling version, Z/28 will be the track version of the V8. I don't know either but I know it's the track version of that engine power level. I have totally no idea what 1LE means :D I am terribly incompetent in American cars. This car is already added, no?